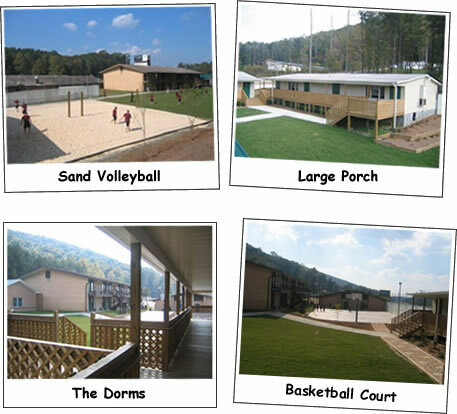 This Premier specialty teen boarding school is located on the outskirts of Blue Ridge, Georgia, near the scenic Blue Ridge Mountains. Blue Ridge offers a pleasant climate with all four seasons that is well-suited to a multitude of outdoor activities. Just a brief hour and a half drive from Atlanta. Blue Ridge provides an ideal setting for students to develop both character and academic competence. The school provides a structured schedule as well as extensive supervision for struggling youth who are making self-limiting or self-destructive choices. Numerous opportunities, including personal development courses and character-building seminars, are provided for students to recognize their own personal greatness and initiate the process of change from within. Youth are held accountable for their actions and learn that they can control their own destiny through choice. The school employs an educated, caring, and qualified staff that supports each child in making positive choices. A number of extracurricular activities both on and off campus contribute to a balanced education and assist in the development exercise and wholesome recreation habits, and social skills. Appropriate social opportunities and group feedback sessions at the school also contribute to child's ability to communicate effectively and interact with others in appropriate ways. These activities along with our rigorous academic curriculum provide the teens with the experiences necessary to gain acceptance in today's colleges and universities and to be successful in a schoolenvironment. The academic needs of our youth are met through the use of the latest computer assisted learning programs. This curriculum provides the same content and rigor found in a standard classroom, without many of the distractions, and may be modified to each child's specific needs. More advanced youth can complete school courses at an accelerated pace while those who progress slower can move at a pace consistent with their abilities. Low teacher-to-student ratios ensure that each student receives the assistance needed to learn at the quickest pace possible. Through the use of a variety of media sources, this Georgia boarding school's academic program is very well suited to the needs of teens with attention deficit disorders. Because the computers do most of the grading and record keeping, the exceptional teachers and teaching assistants are able to spend the majority of their class time working one-on-one with students. The boarding school uses students’ success in the classroom as a springboard for developing the confidence and leadership skills necessary for success outside the classroom. Families are encouraged to be actively involved in the change process and are an integral part of this Georgia troubled teen program’s success. Parent-child seminars assist to improve family communication and also encourage family reunification and strengthening of relationships.